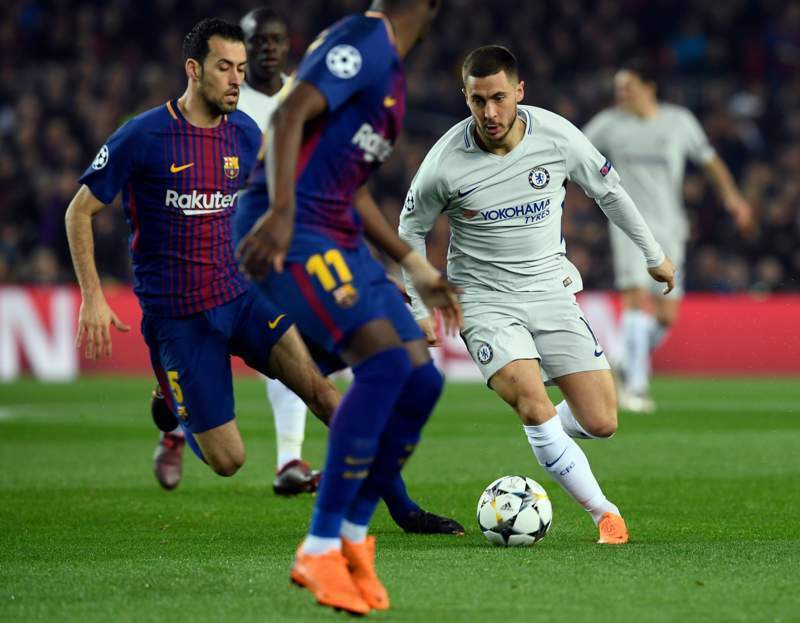 It’s a disappointing result for Chelsea, who were the better team at times over the two legs, but they can’t really complain as their mistakes were ruthlessly punished by the best players in the world. Chelsea knew they had to score, yet they still started the game incredibly deep. It didn’t help much, and within two minutes Leo Messi had burst into the box on the right, exchanged a one two with Luis Suarez and fired through the legs of Courtois to score. That took the handbrake off, and with nothing to lose, the Blues sallied forth and had the better of the game for the following period, getting in behind Jordi Alba repeatedly as they threw caution to the wind. Willian tested Ter Stegen and several dangerous set pieces were whipped in. After a really excellent spell, Barcelona broke on the counter and effectively ended the tie with a second goal from the toe of Ousmane Dembele, who latched on to a square ball from Messi and fired home. Chelsea didn’t let themselves get disheartened however, and they made several further attempts on goal before the end of the first half. Marcos Alonso’s drive was palmed away by Ter Stegen and then Kante’s follow-up rolled wide. After the break Chelsea came out with the same fighting spirit, and they couldn’t believe they were denied an early penalty as Marcos Alonso was pulled down by Gerard Pique. Our hearts were finally broken just after the hour mark though, when Messi burst through on the far side, and slid the ball under Thibaut Courtois once again in a mirror image of the first goal. After that it was just a matter of the home team seeing the game out. Now the season comes down to the FA Cup.